Today’s Pick is too fun and also a great gift idea! 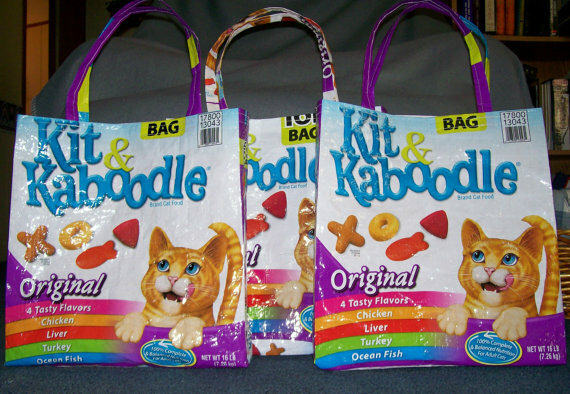 These tote bags are made from poly woven cat food bags. Each bag was washed to remove food residue. Finished product may vary slightly from picture, as these are made from feed bags, not new materials. Perfect for groceries, books, yarn, and gifts. Wonderful for family outings. Great for the kids to carry their little toys as they visit family & friends. Easy to clean, simply wipe out with a damp cloth and your ready to go again.